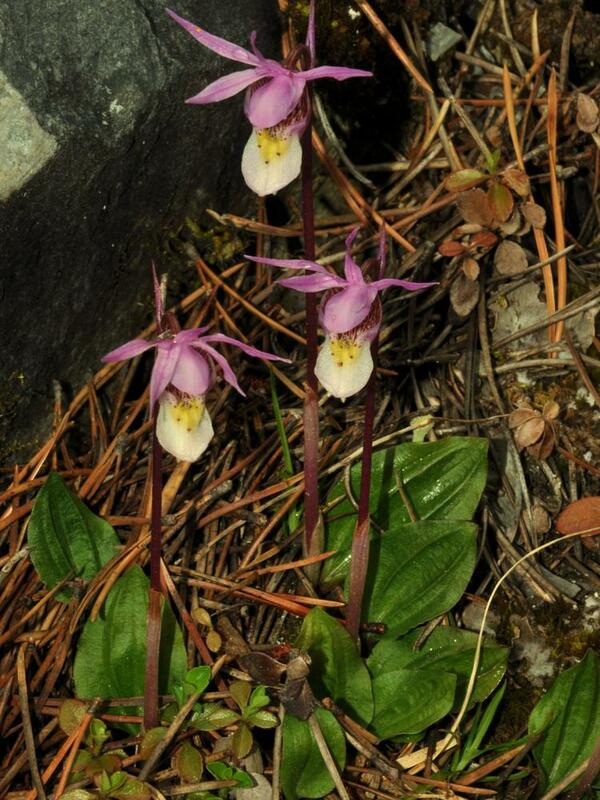 Calypso bulbosa, commonly called Fairy Slipper, has a circumboreal distribution; in North America, it is found across Canada from Alaska to Newfoundland and in the northeastern and western United States. 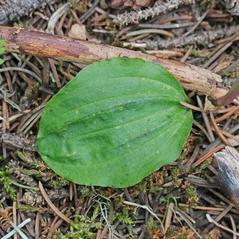 It produces a solitary basal leaf in the autumn which senesces soon after flowering. 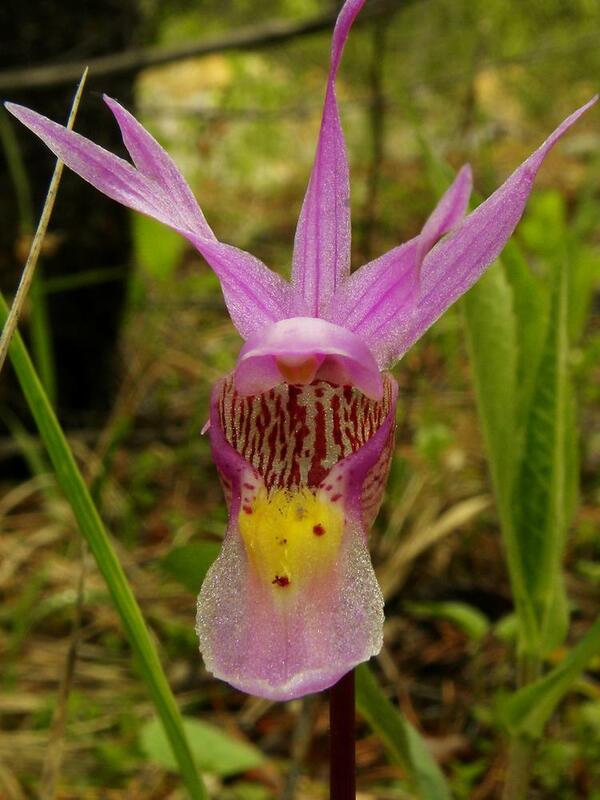 A solitary flower (rarely 2) is produced in the late spring, usually pink, magenta, or white, with a pouch-like labellum that can be spotted with contrasting colors such as yellow. 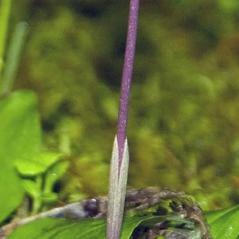 Its lateral petals and sepals spread distinctively outwards. 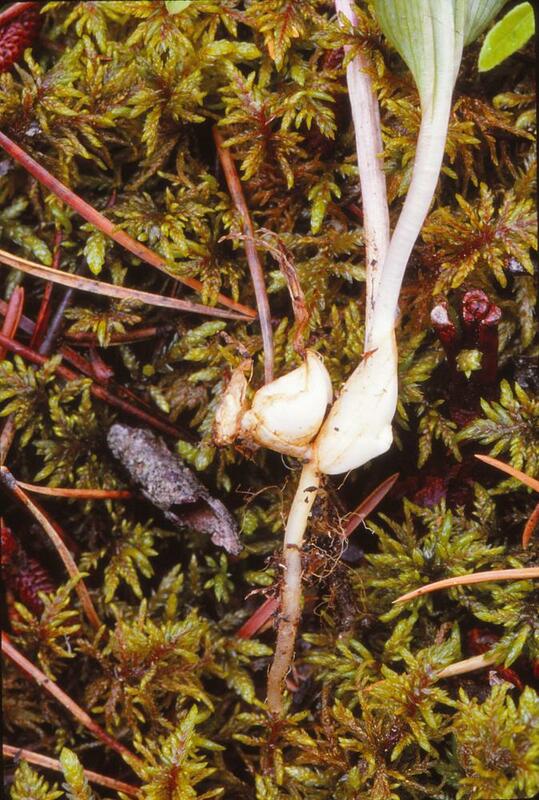 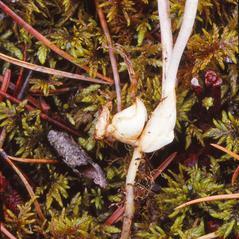 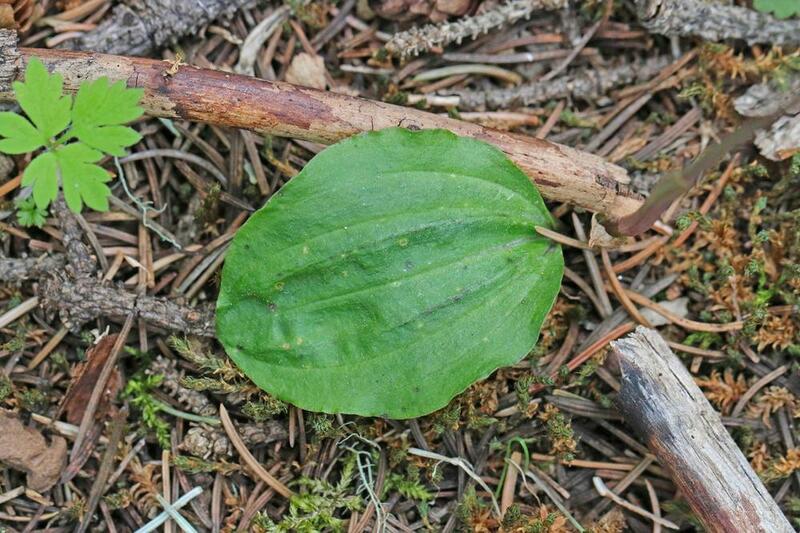 In most of North America, it is found in wet coniferous or mixed forests and bogs; in the northwest, it is found in drier, shady coniferous forests. 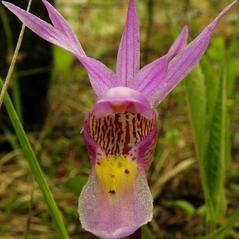 Calypso bulbosa is considered to be globally secure but is considered rare in a few states, including Vermont, Michigan, and Wisconsin. 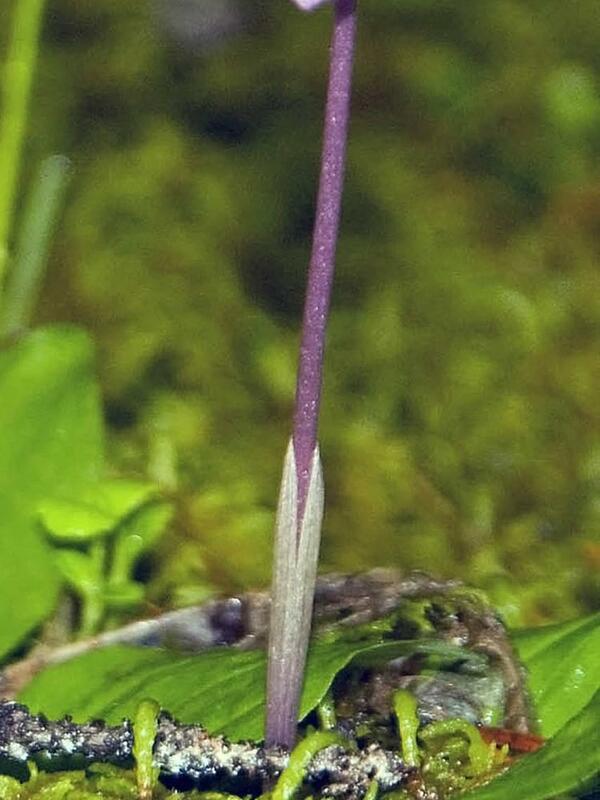 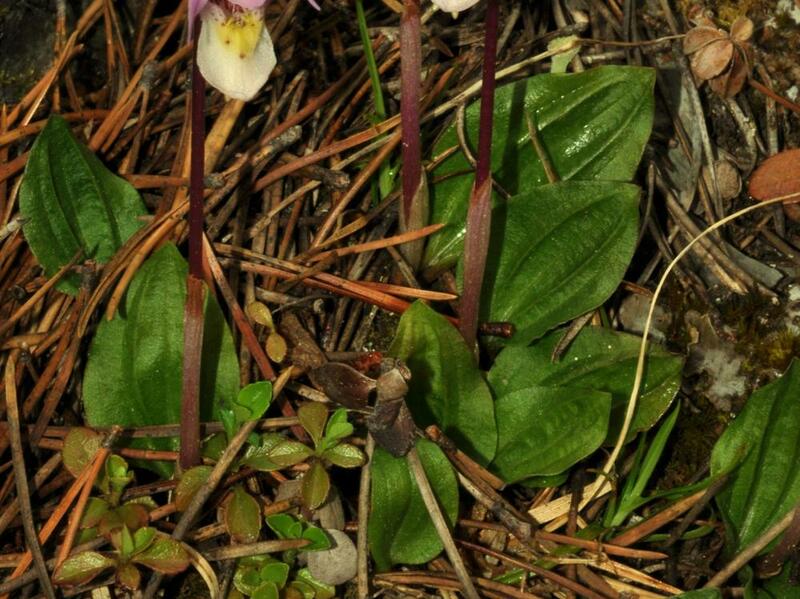 This orchid provides no reward but relies on bright color, anther-like hairs, and sweet smell to deceive naive pollinators, mainly newly emerged queen bumblebees. 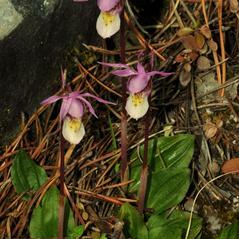 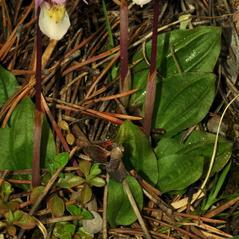 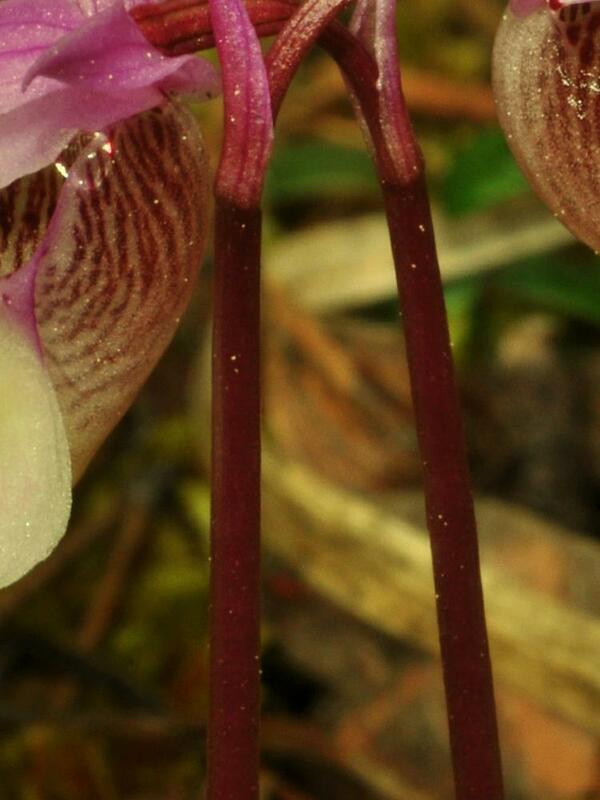 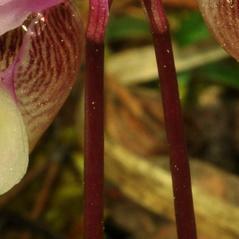 There are two varieties of this orchid in North America: Calypso bulbosa var. 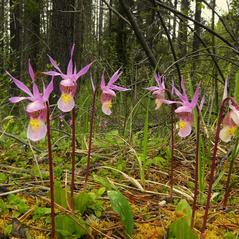 americana, which is widely distributed across Canada and the United States and has a white or pinkish labellum; and Calypso bulbosa var. 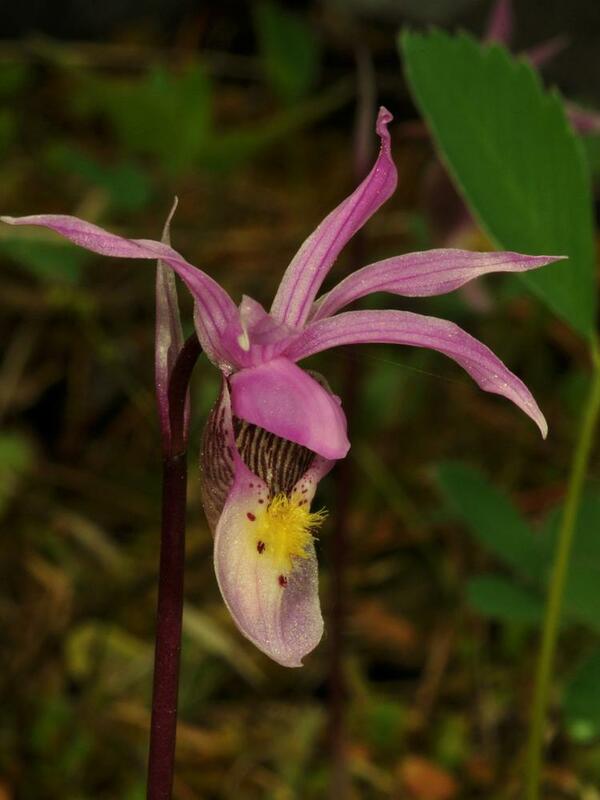 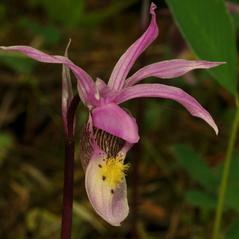 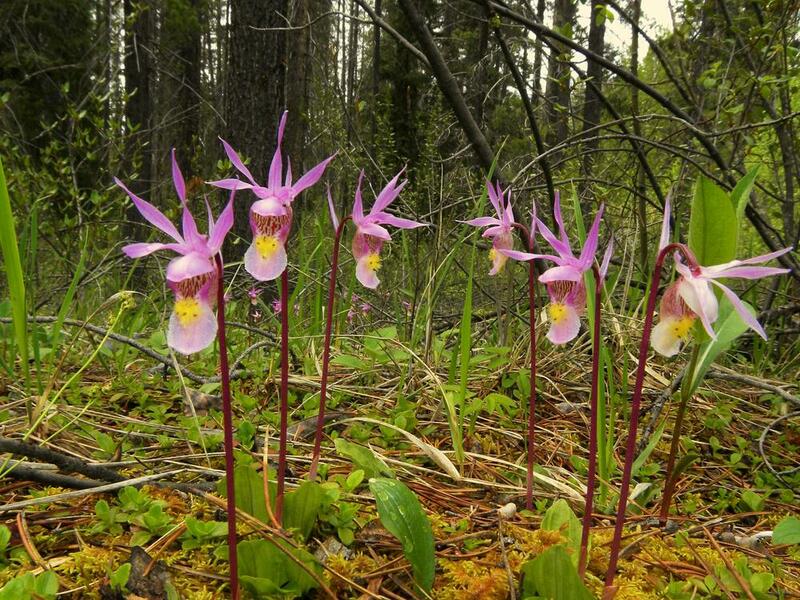 occidentalis, which is found only in the northwestern regions of Canada and the United States, and has white and reddish markings on the labellum.